Born in Church Point, La., Guidry was raised and lives in Carencro, La. As a child he only spoke French so he had to learn English after he started school. After graduating from Carencro High School in 1962, he attended USL. He began his state government career working for the Lafayette Charity Hospital in Lafayette in accounting. He served in the Louisiana Army National Guard, 256th Infantry Brigade Headquarters Company from 1964 to 1970. 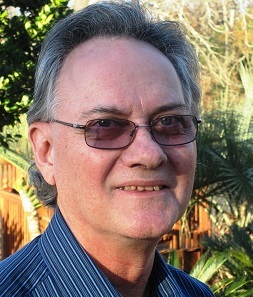 He transferred his state employment to the Council for the Development of French in Louisiana (CODOFIL) in 1981and worked until 1998 as accountant. Since June 1, 1983, every Sunday afternoon, 12 noon to 3 PM, “Nonc Jules” has been a fixture at KRVS 88.7 FM Radio Acadie as the host of the very popular French radio program Le Bal de Dimanche Apres-Midi (The Sunday Afternoon Dance). “Nonc Jules” plays Cajun, French & Creole music by all of the recorded artists and interviews musicians and various guest. KRVS is on the web at www.krvs.org. Occasionally “Nonc Jules” hosts the live Rendezvous des Cadiens Saturday evening show at the Liberty Theater in Eunice, La. On weekdays he plays his accordion, sings and explains the Cajun music, language and culture to visiting tourists at Vermilionville Bayou Historic Museum (BVD) in Lafayette. Since 1986, “Nonc Jules” also headed the Cajun Music Band "Nonc Jules & Lachez-Les" and has performed at festivals and restaurants. From 1985 through 1987, “Nonc Jules” was one of the pioneers in organizing Cajun music jam sessions in the Lafayette area which focused on helping young aspiring Cajun musicians. Many of those performers later developed into well-known musicians. Guidry enjoys spending time with his wife and best friend Mary Lou Vincent Guidry, his daughter Kimberly Guidry, his son-in-law Guy Guidry and his grandson Ian Reese Guidry. “Nonc Jules” also enjoys gardening, meeting new friends and promoting our Cajun heritage.